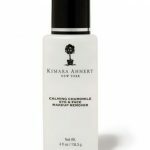 View cart “Chamomile Makeup Remover Bottle” has been added to your cart. Our very mild non-oily remover that gently takes off the eye and face makeup. Contains soothing Chamomile to cleanse without stripping. Our new makeup remover is non-greasy and glides on skin to easily remove all traces of makeup. Use on face, eyes and lips and leave skin feeling clean, smooth and silky.